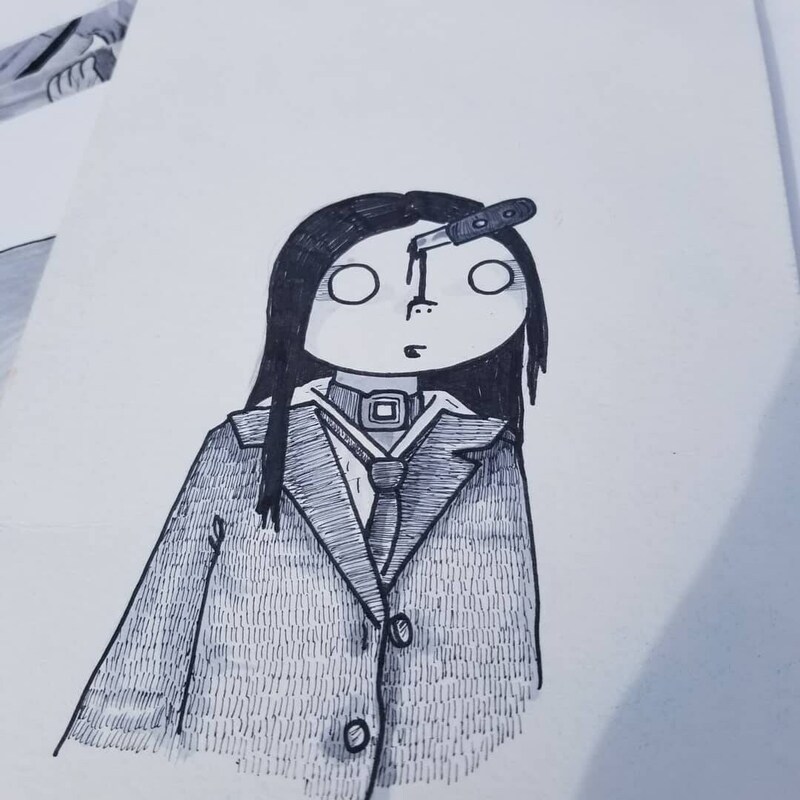 Original Art- Battle Royale inspired Safety Kid, plus the sticker. 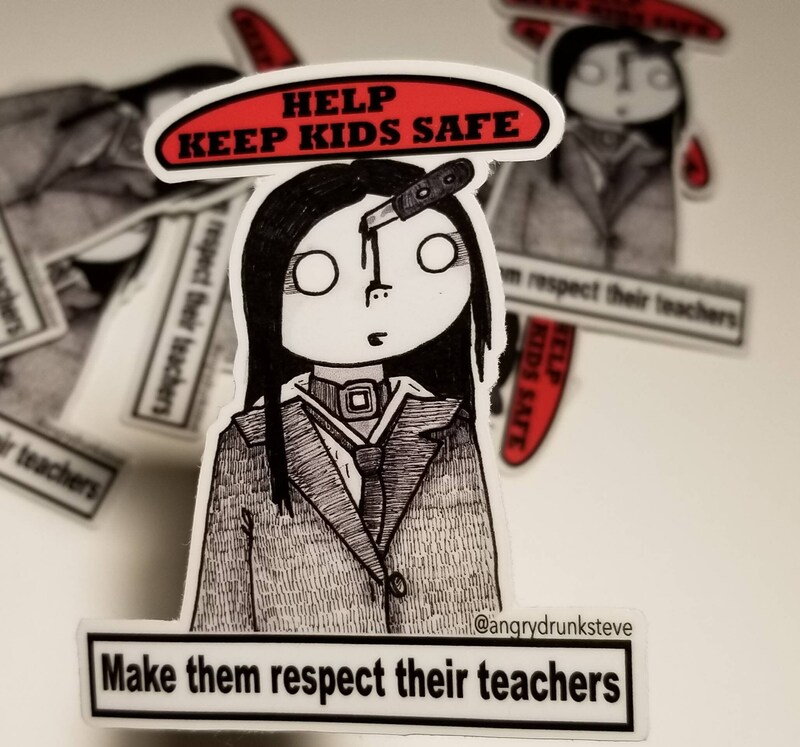 ORIGINAL Battle Royale Safety Kid art, plus the sticker is became. Pen, ink, watercolor on thick 6"x8" mixed media paper. Not in the best condition (see pic).